Fewer people, especially young people and children, are getting outside and visiting the countryside and green spaces on offer in Britain. Fresh air has incredible health benefits and can help reset the body clock to sleep better as well as provide a great source of exercise. In an age where more people are becoming inactive and technology is a central part of life from an early age (children spend an average of 6 hours a day in front of a screen), it is more important than ever to get outside. Due to this, Holly is committed to encouraging children, and young people especially, to ditch the screen and experience real life, fresh air and adventure in a spectacular setting. Wild Night Out on the South Downs, organised by Holly, aims to encourage everyone – families, first timers, seasoned explorers – to enjoy a night (and day) of wild adventure on Saturday 30th June 2018 on the South Downs at Holden Farm, Cheriton on the South Downs Way near Alresford, Hampshire. The event will include a camping experience, music under the stars, lessons and bird watching. Activities at the campground will include stories round the campfire with several informal short talks including a talk about ‘Everest and Elephants’ by Holly. All proceeds from the event will go to Holly’s charity ‘How Many Elephants’, a conservation charity she founded that works to create awareness of the declining numbers of elephants killed by poachers for the ivory trade. If current levels of poaching continue, in just seven years there will be no elephants left in the wild. Optional Walk: On Saturday afternoon there will also be an optional 5-mile walk with Holly from Alresford (meet at White Space Alresford) to Holden Farm and back again the following morning. For those wishing to take part in Wild Night Out on the South Downs, they will have to bring their own tent, chair (optional! ), food & drink. The facilities onsite include hot showers, toilets and washing up facilities. 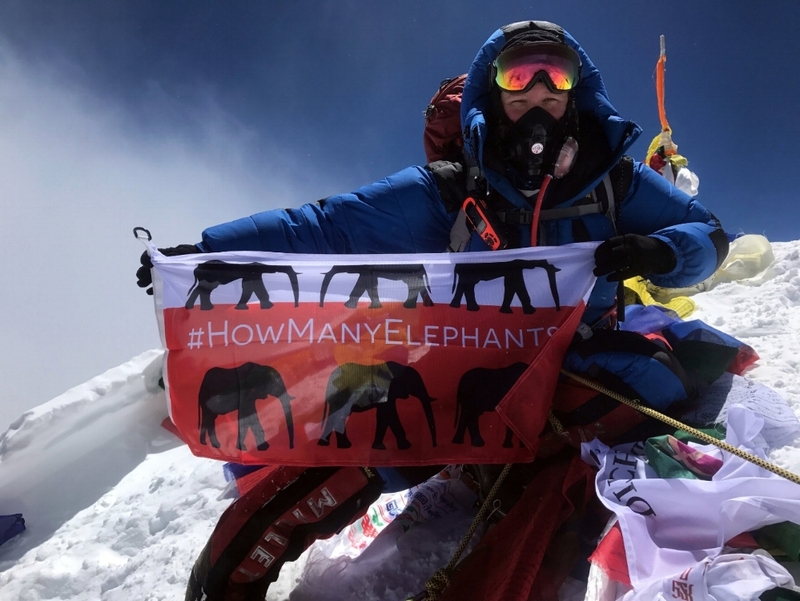 World record adventurer, conservationist and storyteller, Holly Budge, was quite literally on top of the world when she summited Mount Everest last year. Her passion for adventure is evident with two world records under her belt so far, including being the first woman to skydive Everest and race semi-wild horses 1000km across Mongolia in just nine days. Holly is not limited to adventure, she is also an acclaimed artist and founder of ‘How Many Elephants’, an award-winning charity raising awareness of the plight of elephants in Africa. Next month, Holly is training with the Black Mambas, the first front line, all female, anti- poaching team in South Africa and documenting the work of these inspiring and courageous women on film. Holly has helped raise over £300k for a diverse range of charities through her adventures and campaign work so far. Holly's mission is to inspire others to daydream, meander, run, climb and jump into their own adventures. Her message is simple: Think Big, Dream Bigger.